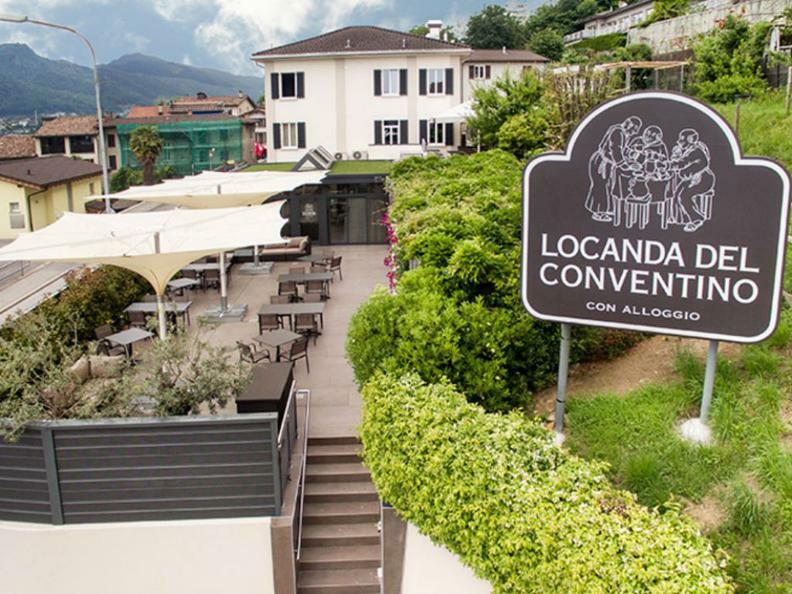 In the hills, close to the center of Lugano, between the splendid Lake Lugano and the peaks of Denti della Vecchia, the Locanda del Conventino is the ideal place to taste the specialties of the Ticinese gastronomy and to spend an enjoyable vacation. We can accommodate up to 70 people in the old "locanda" dining room, the modern and bright veranda and in the hunter's dining room. 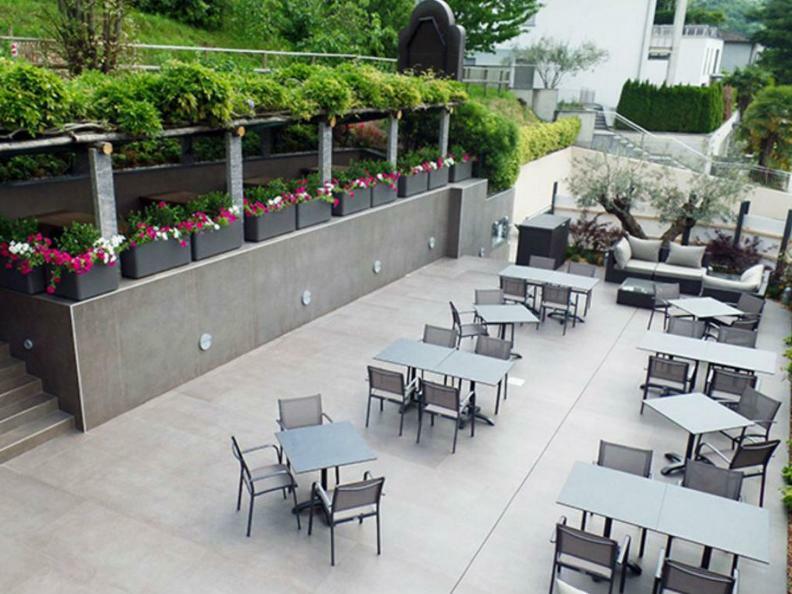 On the terraces and under the pergola shaded by the century-old wisteria plants, we can accommodate up to 60 people. The hunter's dining room is suitable for business lunches and dinners, conferences, birthdays and other special occasions (20-25 people). 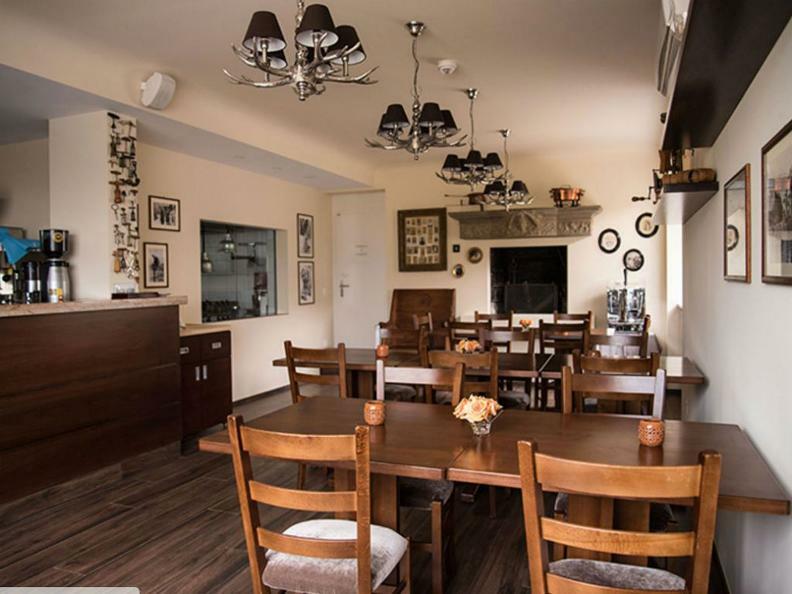 This room is also used as the breakfast room for our hotel guests. In a modern style, we value the products and traditions of our region respecting the seasons. Our products, of excellent quality, are chosen based on fresh availability on the market. We organize buffet or personalized menu banquets on request. Specialties of the house: bison fillet from the Jura region, seafood crudités, ravioli and foie gras. All pasta, bread and desserts are homemade.